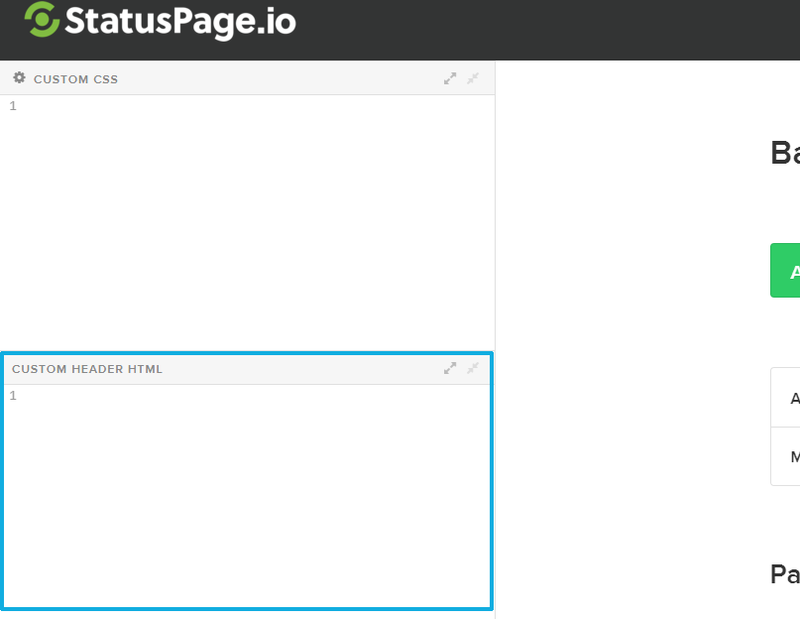 Follow our detailed integration instructions below to translate your StatusPage. 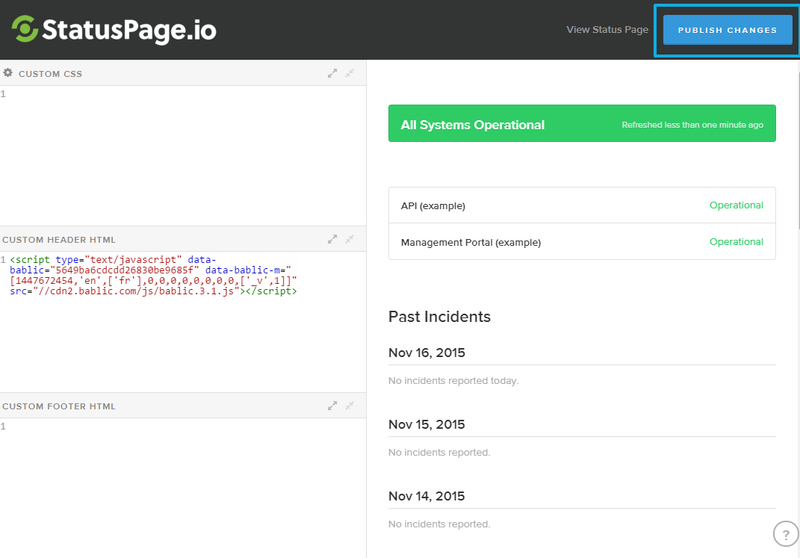 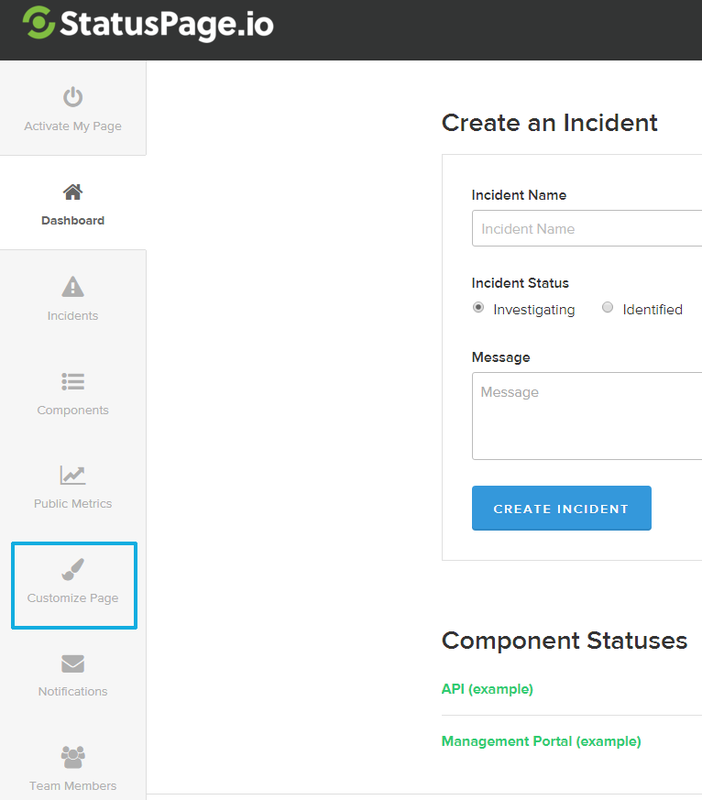 Log in to your StatusPage dashboard to start. 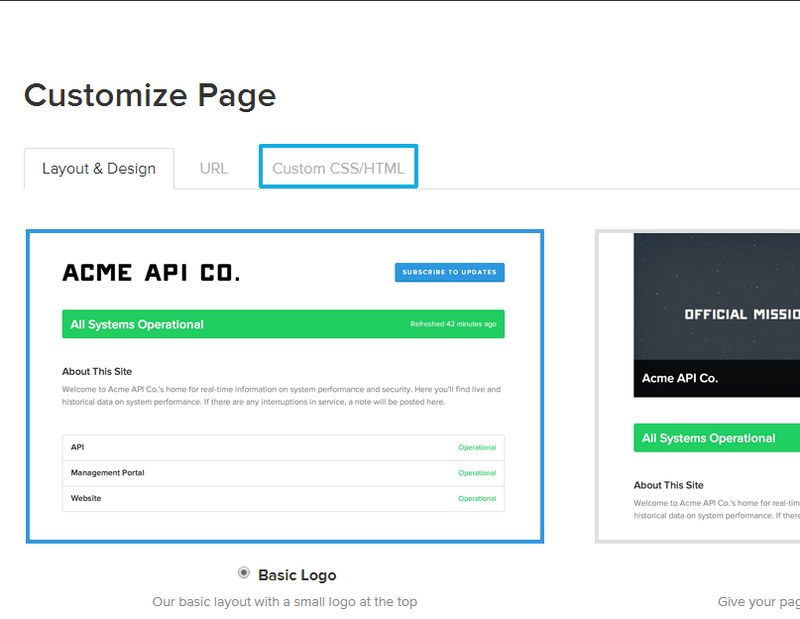 1) Click on "Customize Page"
2) Click on "Custom CSS/HTML"